The story of a sweet smarty-pants who longs for shoeless summers. 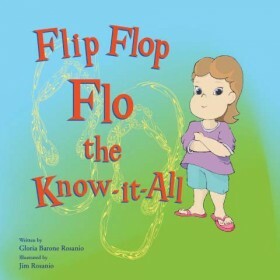 When school starts, Flo can’t bear to part with her flip flops, but a mishap on the playground teaches Flo that flip flops are for summer and shoes are for school. 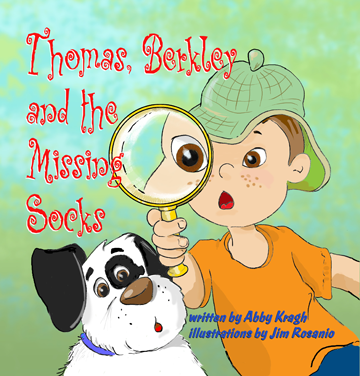 The book is a rhyming read-aloud story best suited for children ages 2-6. Pedro’s bike search for a healthy snack leads him to school, the mayor’s office and the local grocery store, but there are no fruits and vegetables to be found. When Pedro glues his mouth shut in protest, his teacher, mayor and grocer join together to help Pedro learn how to grow healthy snacks of his own. Many children like Pedro live in places called food deserts where there are no stores in their neighborhoods that sell healthy food. Pedro’s story shows what one community without fruits and vegetables did to change that. Our new book, “Pedro’s Hungry Ride — a boy, a bike, and a search for a snack” will be available soon! Today is Child Health Day in the US! From our new book, Pedro’s Hungry Ride, here’s today’s healthy eating tip: NEVER, EVER GIVE YOUR VEGGIE A WEDGIE! It’s been a great year with the debut of “Pedro’s Hungry Ride.” Plans for 2014 include translation of the book into Spanish to reach more children, and more events and book giveaways. You’ll be able to see the book trailer for “Pedro’s Hungry Ride.” Coming soon!